Grit, strokes and drama accompanied the ladies final today in Melbourne Parks. It was their 17th encounter, with Williams winning the last 14. It was time for Sharapova to break the trend, but no matter how much she tried, and try she did, the Rod Laver Arena belonged to Serena Williams. The world Nr.1 took the first game of the first set after an unfortunate double fault from the 2nd seed, going into an early break lead. 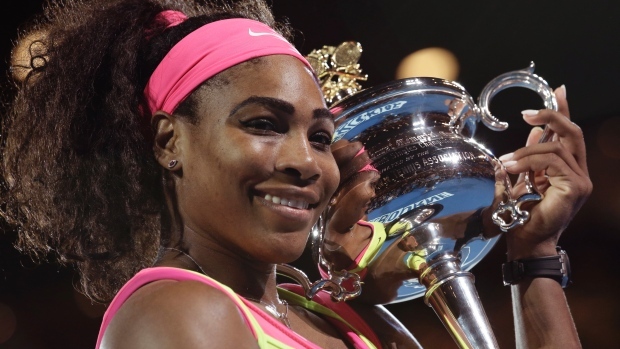 With fantastic angle shots, sharp returns and rocket serves, Serena took the first set 6-3 in just 47 minutes. The second set was the fireworks of the match. It was aggression against elegance, power against style, courage against fear, class against drive. It was a volcanic display of outstanding serves on the American’s side, aces spewing down her racket like a smooth flow of lava against a defiant and bold attacking Maria Sharapova. Emotions were high, Mental toughness was called in play as nerves were tensed. Sharapova defended a championship point and the game was back at 6-6. The crowd was roaring, the fans wanted more. They wanted blood, they wanted sweat. Tie-break. 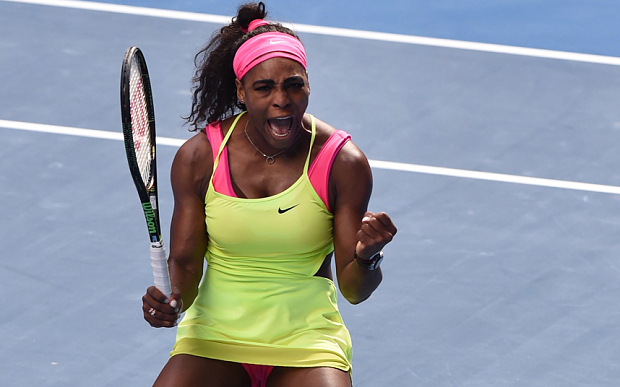 Serena is leading the tie 6:4. It was Championship point Nr. 2 , but Shazza was not letting go, not yet. A forehand winner brings the Russian back in, it is 6:5. Serena serves, drops her racket on the ground, ready to fall on her knees, but the heavens were not ready yet. Call for first serve, the ball hit the net, not an Ace. The American collected herself, throws the ball in the air, it connected to her racket, full force, over the net and Maria had no chance. It was an Ace. The game was over 7-5(7:5); But Williams knew not to be happy too soon, she hesitated, looked up at the umpire, waited for a confirmation, and then an explosion of joy. She screamed, she jumped, running over to her box, ready to go pick up her sixth Australian Open trophy and her 19th Major, just 3 shy away from Steffi Graf’s 22 all time best record. The Last Immigrant is about writing - writing all about journeys, passion, perception(s). It is about leaving home and travelling beyond, over the seas and above the horizons; of experiences in the foreign and the unknown. Of my view, her view, their view, our views. An enthusiast reader of books, fiction and non-fiction alike, books and stories have been an integral part of my life from the time I was about 8 years old. My passion for literature accompanied me all my life through school and university. With me, you can discuss books from all eras and genres, be it the classics, post-colonial, Victorian, Comedy, Tragedy, Contemporary etc. I don’t limit myself in the world of books. My preferences are the Novel and Short story, but bring on Drama or poetry and I will give it a go. I will be sharing a lot about books in this blog. Books I have read, my take on them, recommendations from me, friends etc. You can follow me on Book Read to see what I am currently reading. I sometimes write short stories and poetry. I will be sharing some of my stories on this blog. Being a mom of 2 teenagers, it is difficult to delve full time into writing; but I try as best as I can to create time for this alongside juggling family and work life. Hope you enjoy the stories. Sports, oh boy, don’t I love sports. I am an avid lover of tennis, football and Formula 1. My favourite tennis players happen to be Serena Williams and Rafael Nadal. I will go sleepless nights singing praises for my beloved FC Bayern München. In car racing, no one drives a car like Lewis Hamilton. You will be getting my take on these great athletes and many others on these pages. Travelling happen to be one of my hobbies as well. I will try and share with you some of the interesting places I go to with a literary twist to it. All in all, you will be getting just about anything that ticks Mbole. I hope you enjoy the blog and please leave comments and notes. Have a pleasant ride in The Last Immigrant’s world and thoughts. Thank you for passing by. Mbole D Nnane The Last Immigrant. 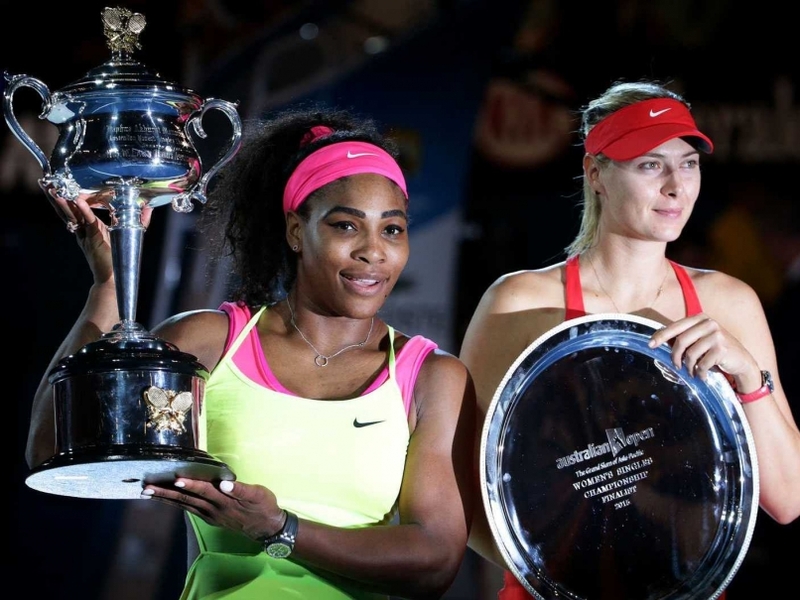 Posted on January 31, 2015, in Sports and tagged Australian Open, Serena, Sharapova, Trophy, Winner, WTA. Bookmark the permalink. 11 Comments. Poor Maria 😜😜. What could Sharapova be thinking now? Serena is a tennis bully. She bullies her way with her musculature and energy to the trophies.